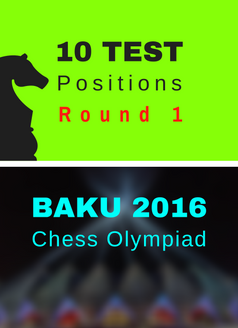 Modern chess team provides you with 10 test positions from the seventh round of the Chess Olympiad in Baku. Compare your tactical skills with the best players in the world. Good luck and enjoy! Modern chess team provides you with 10 test positions from the sixth round of the Chess Olympiad in Baku. Compare your tactical skills with the best players in the world. Good luck and enjoy! This round was rich of splendid combinations. Try to put yourself in the shoes of great tacticians like Wesley So, Alexei Shirov and Jones Gawain. Enjoy and good luck! Modern chess team provides you with 10 test positions from the fourth round of the Chess Olympiad in Baku. Compare your tactical skills with the best players in the world. Good luck and enjoy! Modern chess team provides you with 10 test positions from the third round of Chess Olympiad in Baku. Compare your tactical skills with the best players in the world. Good luck and enjoy! Modern chess team provides you with 10 test positions from the second round of Chess Olympiad in Baku. Compare your tactical skills with the best players in the world. Good luck and enjoy! Yesterday started the most interesting chess event of the year - the Baku Chess Olympiad. This year, there are 180 teams in the Open section and 140 teams in the Women section. Almost all best players in the world are participating. Modern Chess will provide you with 10 test positions after every single round. Try to find the best continuation in every position. We wish you good luck! 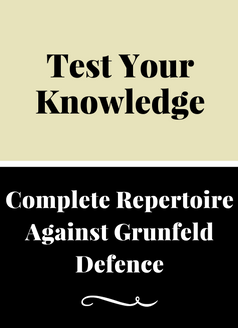 Dear readers of Modern chess, In the following article, I provide you with 10 test positions about the Russian System against Grunfeld Defence. They feature typical tactics, positional ideas, and manoeuvres. If your result is more than 80% then you are a real expert on this system. If it is in the range 50-80% then you have a very good knowledge, but you should read the database one more time. 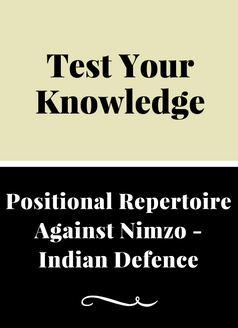 Dear readers, In this article, we provide you with a test concerning the latest opening database of GM Kiril Georgiev - Positional Repertoire Against Nimzo-Indian Defence. You are offered 12 positions which allow you to test your positional and tactical understanding of the arising positions. Every result of more than 50% is excellent! Every experienced player would tell you that it is not possible to become a master without being good in the endgame. 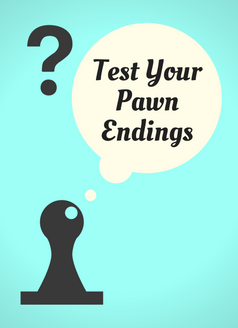 Nevertheless, studying the endgame subtleties is an extremely tedious task for the vast majority of the amateur players. That is why for trainers is so difficult to provide their students with an adequate education in this field. I believe that when learning the endgame, we must put ourselves in a practical situation.